October was a pretty nice chilled month for me as I didn’t have too much on so it meant I could relax for a change! November and December will no doubt be much busier so it was good to get some time to myself before the Christmas schedule begins. 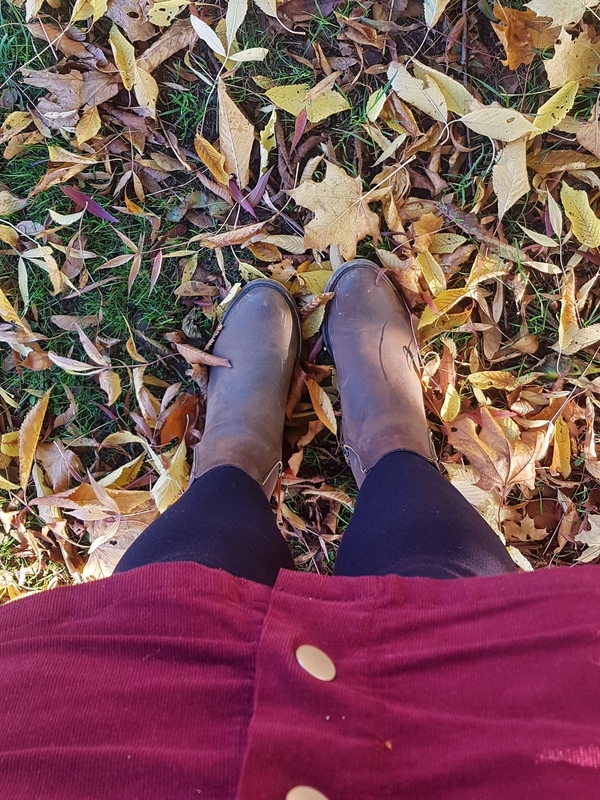 Winter is on its way now and I’ve been loving these fresh autumn days and cosy evenings! Although I must admit I am not loving the dark mornings! 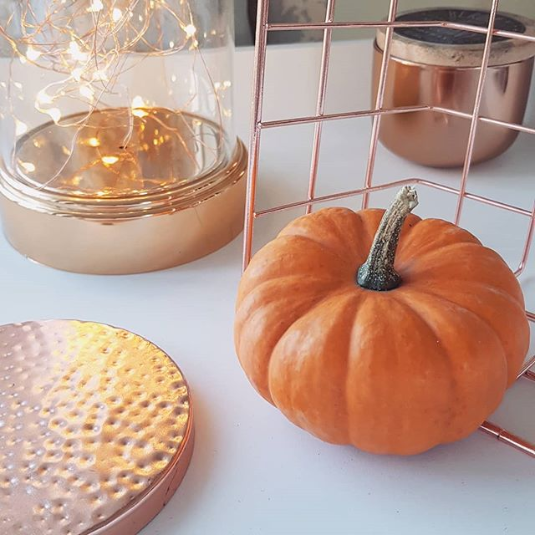 October was the start of me getting all autumnal so I treated myself to some new candles from B&M. These two were only £2.99 each and both smell amazing! I bought Pumpkin Waffles and Cinnamon Sugared Doughnut and they both smell delicious. There were other scents too and now I kind of wish I also picked up the toasted marshmallow one! Autumn and winter means I get to indulge in lots of hot chocolates! I don’t drink tea or coffee so this is the only hot drink I will have, although I try not to have them too often! 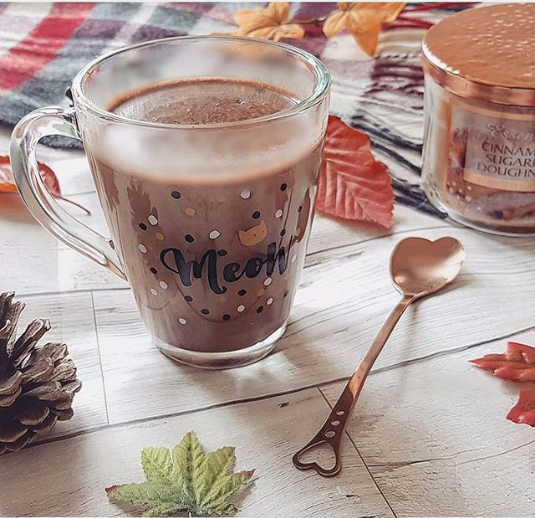 I always use the Galaxy hot chocolate powder, and this glass mug that I picked up in Primark a few years ago is my favourite mug! How cute is my rose gold heart shaped spoon by the way? An Ali Express bargain; it was only 75p and free delivery! 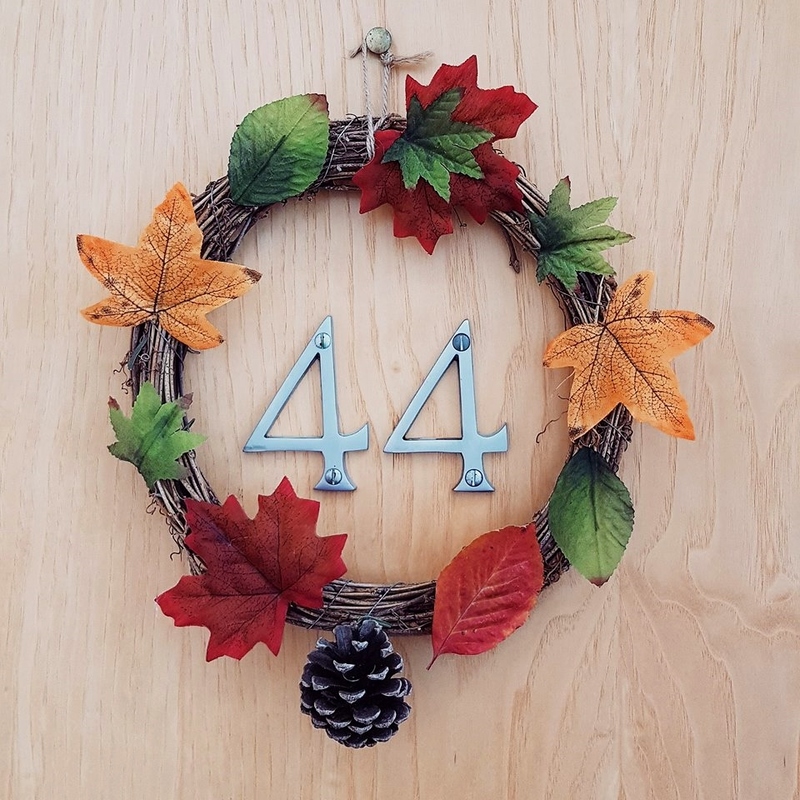 At Easter earlier this year I made a door wreath to celebrate spring, so I thought I’d make a seasonal one for autumn too! I bought all the bits from Ali Express (I am obsessed!) so it was very cheap to make and so easy to put together. 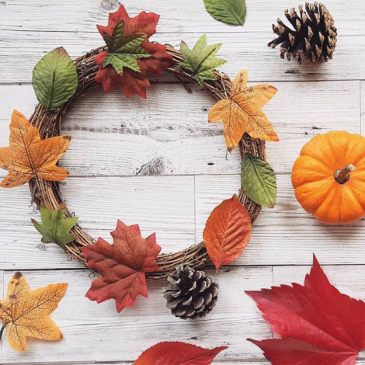 The wicker wreath was only £1.50, and then I bought a selection of different fake leaves too (here, here and here) which were about 40p per pack. I also added a large fir cone hanging from the bottom using wire, and I’ve now also added a couple of little fir cones too (also from Ali Express, only 60p here). I added the leaves just using PVA glue or some of the leaves come wired so you can just thread them through the wicker. And because I live in a flat it means I can keep it hung on my front door without it getting weather damaged! I don’t often post selfies but this was me a few hours before I got struck down with a horrible cold during our trip to London. 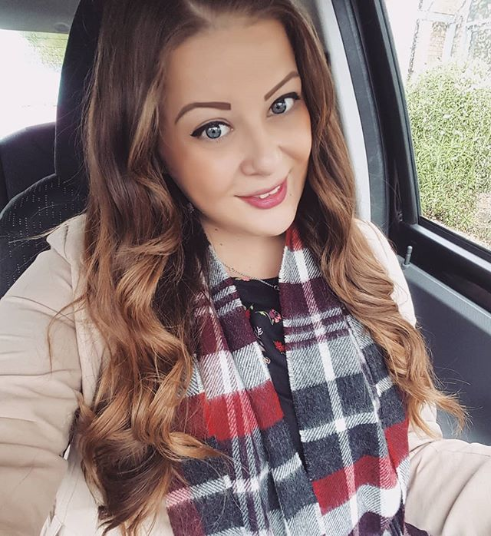 I felt fine in the morning but by the evening I was a snotty mess and we had to go home early 🙁 I recovered a few days later, but how annoying are colds when they ruin your plans?! 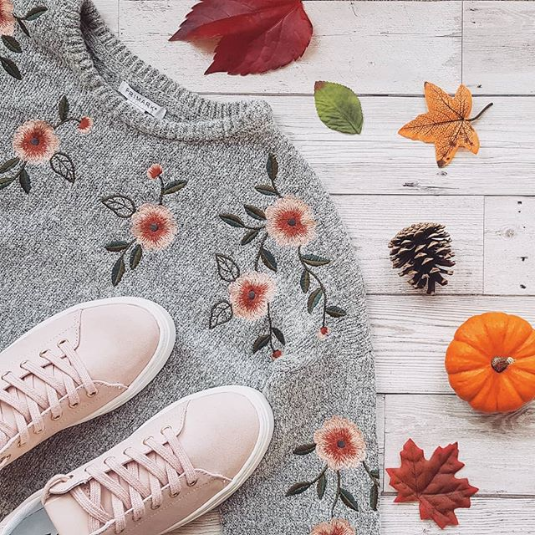 I am absolutely in love with my new pretty floral embroidered jumper! I saw it hanging all alone in Primark and then realised it was from the kids section so ignored it. Then I decided to go and see what size the kids stuff goes up to and I am now the proud owner of this kids jumper in age 13-14. I’m a size 12 on top so I was surprised that it actually fits and the arms are nice and long. I’m gonna be checking out the kids section more often! Best of all, the kids stuff is tax free so it’s much cheaper, and the jumper was only £9! The cute pink suede trainers are from H&M, but I haven’t worn them yet as I’m scared of getting them dirty.. Sometimes after a long day, all you want to do is just relax. 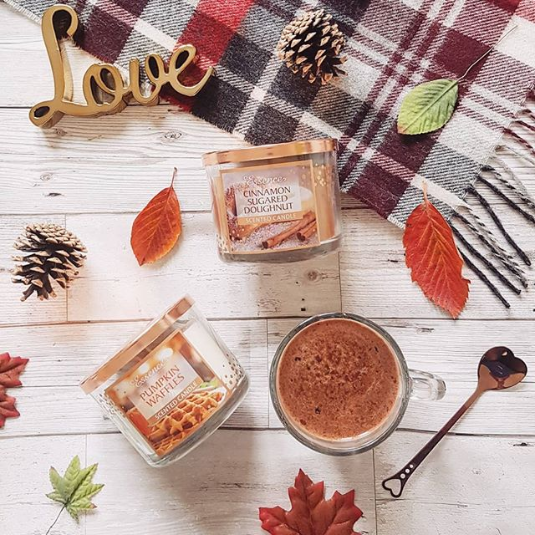 I find one of the best ways to do this is to run a nice hot bath, light some candles and then use some luxurious bathtime treats. 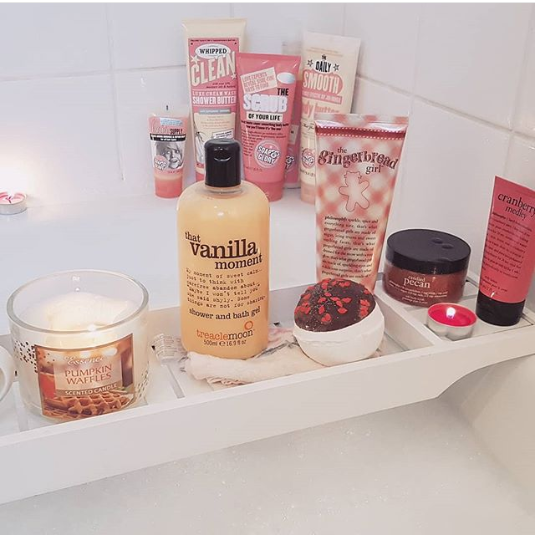 The Soap and Glory range is my favourite; I love using their bubble bath, exfoliator scrub, and shower cream in the bath. 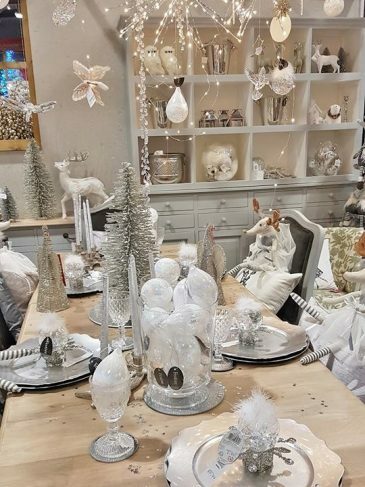 I’ve put away all my summertime home decor accessories (bye bye flamingos!) and I’ve brought out my more wintry ones. 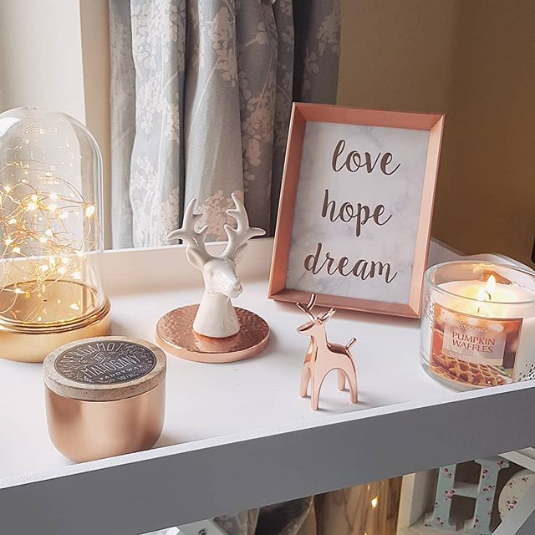 Lots of copper tones, stags and more candles! 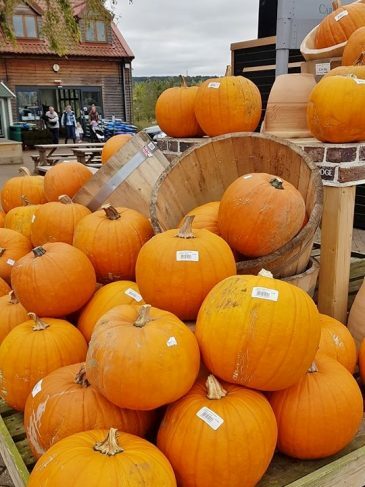 I also really liked having my pumpkins out throughout October. They lasted the whole month without going soggy and I kind of miss them now! Another thing I’ve been loving about autumn is the gorgeous weather! The days have been getting chillier but still nice and sunny with blue skies. 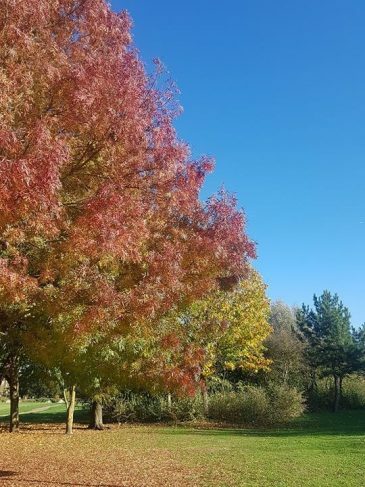 We’ve been enjoying going on afternoon walks on the weekends around the local area and it’s always so nice to see the autumn leaves changing colour. I took my niece out for the afternoon last weekend and we went to Ampthill, a sweet little town near Bedford. We looked around the shops and then went to Cakestand and Crumb for some cake and a drink. 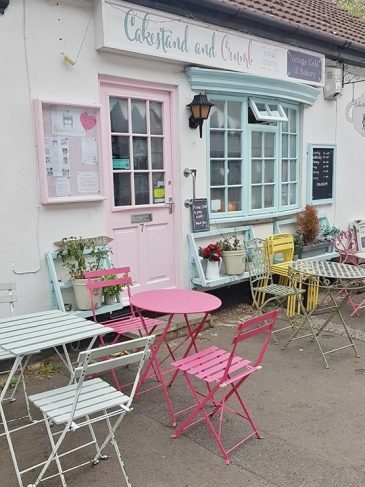 It’s the cutest little tea room and I would definitely recommend visiting if you’re local! 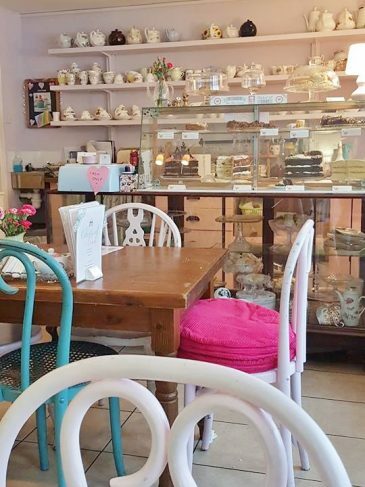 They serve everything on pretty vintage china and the decor is all quaint and mismatched. And the cakes are yummy!